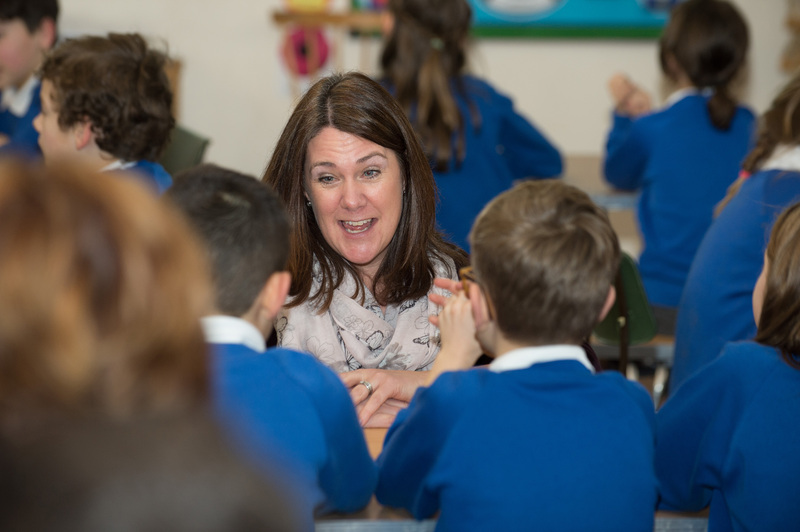 Once fully trained, the specialist teachers lead the professional development of further groups of teachers in schools within their local area. Over time, this will spread the understanding of, and expertise in, teaching maths for mastery widely across the primary school system. This is a significant commitment that will see the maths leader attend a one-year training programme (3 x 2 day residentials) led by NCETM’s Debbie Morgan. The programme will be for schools that are already committed to the principles of mastery. During the first year, the focus will be on embedding teaching for mastery across their own school and running pilot Teacher Research Groups (TRGs) internally and with local schools. In subsequent years, the trained Mastery Specialist will be responsible for working with 6 Workgroup schools, leading TRGs and supporting them on their development. We will be recruiting again for Mastery Specialists shortly – dates tbc. We are now recruiting primary schools to take part in Teaching for Mastery Work Groups during 2019-2020. Each Work Group will be led by a NCETM trained Mastery Specialist. During the year, schools will work closely together to introduce and develop approaches to teaching for mastery. Complete the application form below and send it to yrmathshub@harrogategrammar.co.uk before Friday 22nd March.